Welcome to DeanCraftDecks.com - One of Omaha's Premier Deck Builders. Why do business with Deancraft Decks? Deancraft Decks Owner is on EVERY job site from Start to Finish. Deancraft Decks is Family Owned and Operated Since 1980. Deancraft Decks starts each and every job taking pride in their work. Deancraft Decks builds One deck at a time from start to finish. 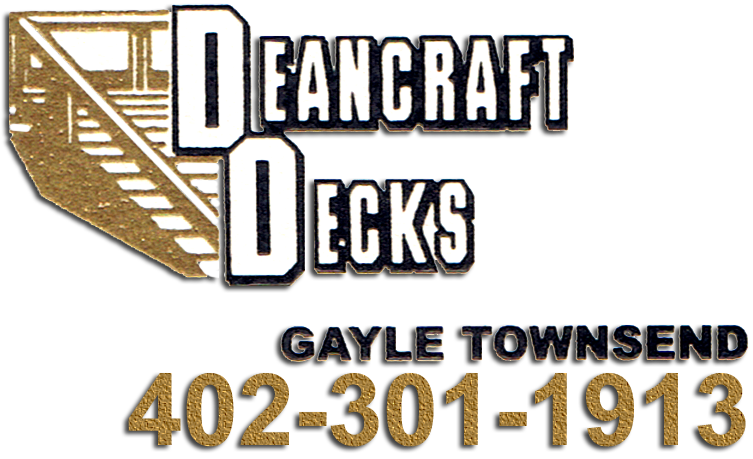 Deancraft Decks is available for Estimates 7 days a week, from 7am to 10pm. Deancraft Decks does FREE custom deck designs. Deancraft Decks is Licensed, Bonded, and Insured to do all your custom deck work. Deancraft Decks is very price competitive. Deancraft Decks is one of Omaha's Premier Deck Builders. Our work speaks for itself - please see the slide shows throughout our site.